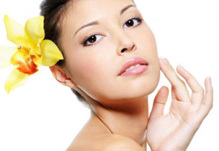 Regular professional skin care treatments play an essential role in your skin's health and vitality. 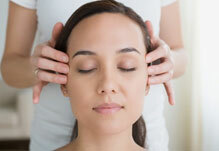 All Vibe Spa facial treatments are customized to meet your individual needs. Each treatment begins with a personal consultation and thorough skin analysis to ensure maximum results. 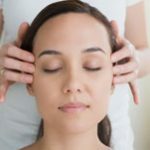 Imagine ultimate relaxation.The facial starts with a back massage,followed by a facial treatment suited to your skin type and requirement and ends with an Indian head massage.The facial also includes a hand treatment. A powerful Anti-wrinkle formula. This is intensively rejuvenating treatment instantly minimizes deeper lines and wrinkles, hydrates and tightens the skin resulting in youthful appearance. An incredible Vitamin C age-defying treatment facial to delay the visible signs of aging and energize the skin. All the products are marine and vegetal ingredients, this treatment is exceptional for both pre n post-sun exposure. Ideal for people live in urban areas with high stress levels and pollution. Instant radiance by evening out skin tone and visibly decrease aging signs. This treatment cleanses and purifies the skin. It targets acne, dark spots and microcytic acne. 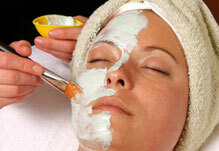 It is gentle and deep cleansing facial that guarantees in reducing acne and provides soft and supple skin. 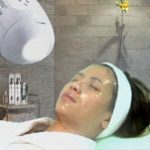 Oxygenating treatment facial revitalize dull and tired skin. Oxygen complex and anti- microbial peptides help to renew skin cells. 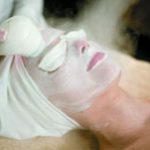 Oxygen Facials provide immediate rejuvenating results. They encourage cell repair, helps to clear skin congestion, control acne and revitalize fatigued, stressed and dull skin. Ideal for all skin types. It provides deep hydration and essential nutrients to protect skin from harmful agents such as UV rays and environmental pollutants. You can feel your skin breath after the facial. This advanced non-invasive procedure firms and tones facial muscles, smooth's out wrinkles and activates cellular renewal. Lift: With age and fatigue provides a 'youth revolution' by stimulating facial muscles to give them new tone and exert a lifting effect on your facial features. The treatment starts with mild electrotherapy (micro currents) and gentle massage movements of the rollers to help the active ingredients penetrate into the skin, deep cleansing it and revealing its inner beauty. 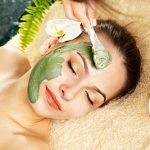 A relaxing and invigorating personalized skin care treatment with thorough cleansing, exfoliation and hydrating the skin .Hydrated skin is a healthy skin. Relax further with a facial massage and a mask suited to your skin type. This is brightening and dark spot corrector treatment. This targets pigmentation and dark spots caused by sun damage. Protects against environmental stressors like pollution and visibly brightens skin and gives you even complexion. 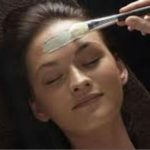 This facial targets fine lines and wrinkles and post acne scars. The AHA in this facial helps in cellular renewal which results in smoother skin that clarifies the complexion. Peel represents the careful cleaning and removal of dead skin cells,which have formed on the skins surface.doing this allows ingredients to more easily and deeply penetrate into the skin.New cell and collagen formation is stimulated and moisture retention is fostered. Alex utilizes only pure ,natural plant ingredients and is highly safe and successful ,non -surgical procedure.It doesn't cause any stinging or adverse reaction. 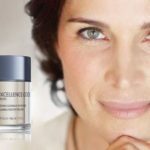 (35-45 years ) This is anti- aging facial treatment that targets first signs of aging like fine lines and expression lines over under forehead or under your eyes. As a result you get radiant skin. (45 – 55 years ) This is youth activator, wrinkle smoother and anti- fatigue facial. This smooths out your deep wrinkles and deeper lines which results in fresh and younger looking skin. 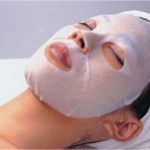 (55 years plus) This is expertized anti-aging facial which targets lack of firmness. It stimulates the production of collagen that results in smooth and firmer skin. This treatment regenerates and restructures skin inti younger looking skin. This treatment is to firm and tone tired eyes, target the puffiness and fine lines. It can be done alone or incorporated into a facial. This is a technique that resurfaces the skin by removing the outermost layers of dead cells. It promotes the growth of new, healthy cells and enhances your skin's appearance by minimizing pores, fine lines, acne scars, age spots, and sun damage. This facial quickly brings radiance and glow to the skin. Recommended before, evening functions or simply a quick pick me up. Beautiful skin is only milimeters away. Glycolic Peel is an intensive skin treatment focusing on resurfacing, renewing the skin, improving skin`s texture, reduces fine lines and treats acne. 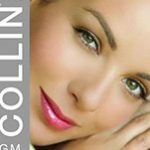 Have questions about our facial treatments? Want to book an appointment in our centrally located Mississauga location? Contact Us at 905.766.0766 or complete the form at the bottom of this page.